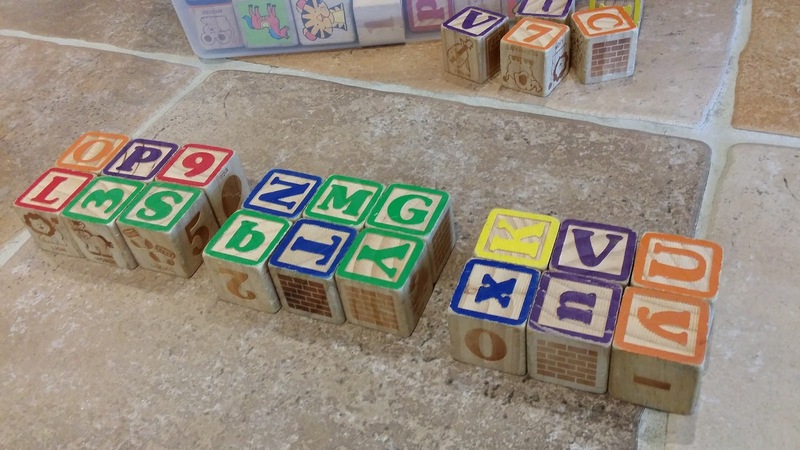 Do you still have those toy blocks that your toddlers have outgrown that you meant to get rid of? Yea, me too. 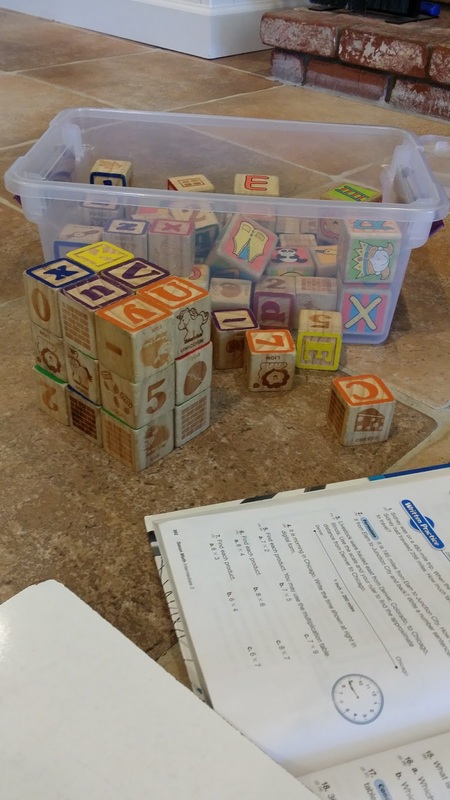 Before you throw those blocks out or pass them onto another friend, I want to share with you how our toy blocks helped my 8 year old hands on learner with math. I was teaching my son, Joshua, how to find the volume of a solid. (checking his work after I THOROUGHLY explained length x width x height). What?? What happened? What are these numbers??? It's LEEENGTH x WIIIIDTH x HEEEIIIGHT. (saying it slower and louder ALWAYS helps, especially when you lean into child's face). He gave me a confused nod. Or maybe he was scared. Not sure. Either way, he didn't quite get it. I could not understand. All he had to do was just COUNT the cubes. Then I looked closer at his textbook. I realized that although his math book showed a 3D object the best it could, Joshua still could not visualize the answers to all the questions it was asking. How many cubes are there in one layer? How many layers are there? How many cubes are there in all? 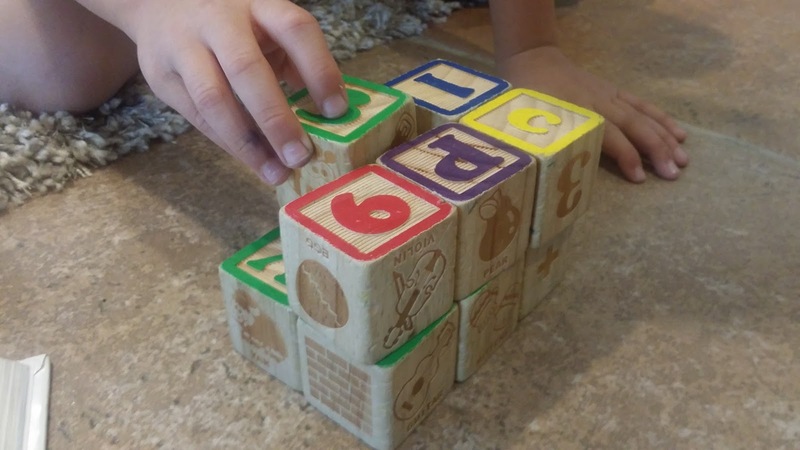 When the book asked how many cubes were in each layer, Joshua could not "see" the rest of the figure that was covered up by the other blocks on top. I told him that the only FULL layer that he could actually see was the top layer that showed all the blocks. We see that the length is 3 and width is 3 ...3x3=9. THEN we counted the height (or as the book puts it how many layers there are). Height is 3. So 9x3= 27. My Joshua is a hands on learner and although he started to understand it a bit more, I looked across the room and saw our old toy blocks. There was actually a light beam shining down right on it, illuminating it. 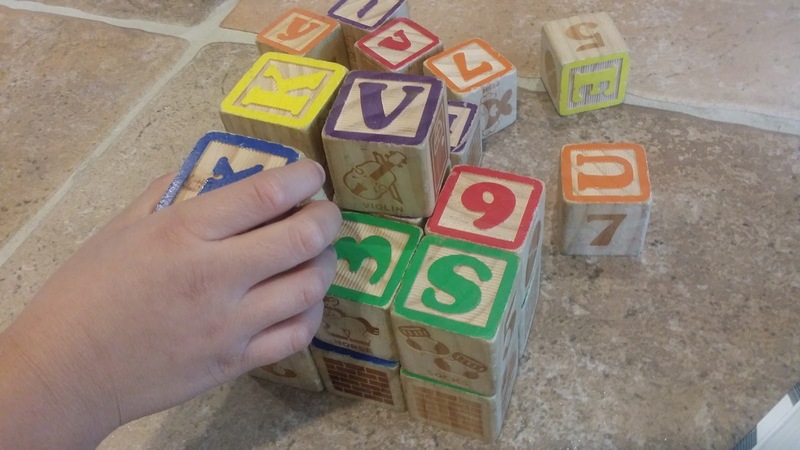 I quickly grabbed the blocks and showed him how to build a solid figure. I did a couple of examples then it was his turn. We counted it. It had 6 ( l=3, w=2... 3x2=6) cubes on top with 2 layers. 6x2=12. The volume was 12 cubic inches (I gave him inches as the unit of measure). Then I had him build another layer. I reminded him that they only layer that he could FULLY see is the top layer. Find the length (3) and width (2). 3x2=6. How many layers are there? I had him take the layers apart. 6x3 = 18 cubic inches Or 3 (length) x 2 (width) x 3 (height) = 18 cubic inches. He did a big...OOOOOOOHHH!!!!! He GOT it!!! We did a few more problems and then he ran off to finish the rest of his problems by himself. These blocks were so helpful! Some kids just need to see, touch, and manipulate objects in order for them to FULLY understand math concepts. I have one of these kids. This activity really stuck with him because it's been about a month since this math lesson and he's NEVER missed another volume problem again. Serious. Who knew that toy blocks could bring mama and an 8 yr. old student such joy??!! !